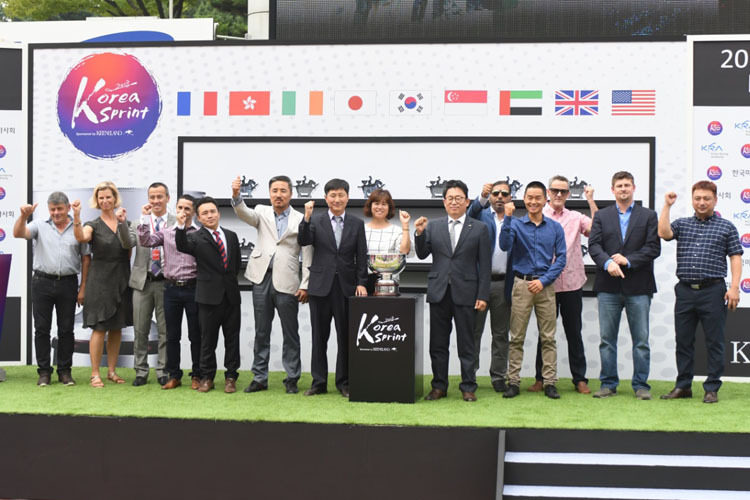 The Keeneland Korea Sprint and its sister race the Keeneland Korea Cup have developed into two of the most diverse races in the world. 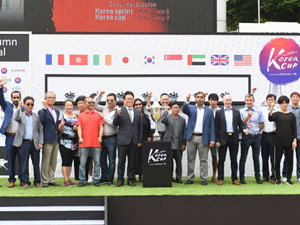 The entrants hail from and, including the hosts, nine nations will be represented over the two contests at Seoul Racecourse on Sunday afternoon. Perhaps the most impressive in the build-up to the race has been US raider CHUBLICIOUS. Shrugging off the marathon journey from the States – “He shipped in very well”, trainer Ron Faucheux noted at Thursday’s barrier draw – the seven-year-old gelding has cut a striking figure at trackwork each morning and with very solid dirt form in the US is now set to begin as one of the favourites for Sunday’s race. He’ll come out of gate one inside of Fight Hero. London Town’s form coming into the race may not be quite as good as it was a year ago when he broke the Sapporo track-record over 1 1⁄16 m mere days before travelling to Korea but it’s worth remembering he always runs against top class opposition and he could well be too good once more. However, Cheongdam Dokki keeps on doing everything asked of him domestically and doing it with plenty to spare. Seeing him finally put to a real test is perhaps the most intriguing aspect of this year’s race from a local point of view.